A government-backed “Culture Loyalty Bill” that would allow Israel’s minister of culture to withhold public funding for organizations “that are working against the principles of the state” cleared its first Knesset vote on Monday night, November 5, after a furious parliamentary debate that went on for hours. The legislation, proposed by the far-right Minister of Culture Miri Regev and which is supported by neoliberal Minister of Finance Moshe Kahlon, cleared its first reading with 55 lawmakers in favor and 44 against. It requires two more readings to become law. Two years ago, Regev walked out of the Ophir awards — Israel’s equivalent of the Oscars — when a poem by late Palestinian poet Mahmoud Darwish was read. She also panned last year’s critically acclaimed film Foxtrot as a defamation of Israel. The story of parents grieving the loss of their son is largely allegorical, but Regev insisted the film — which includes a scene of Israeli soldiers committing a war crime — amounted to “self-flagellation and cooperation with the anti-Israel narrative.” After its release, Regev asked the Israeli Film Fund to provide detailed information about the approval process for movies, in an attempt to clamp down on state funding for movies critical of government policies. 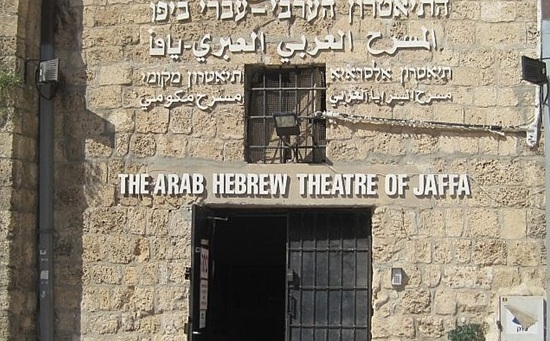 She also acted against Al-Midan Theatre in Haifa and the Arab-Hebrew Theatre of Jaffa. Earlier this month, Regev asked the Ministry of Finance to examine the financing of the Haifa International Film Festival, due to the screening of “subversive movies.” Two films attracting Regev’s ire were Out, which tells the story of a former Israeli soldier who joins a fascist organization that tries to damage the reputation of human rights activists, and Acre Dreams, which depicts a love affair between a Jew and an Arab at the time of the British Mandate. Last week, a proposed Culture and Arts Bill (Amendment – Culture Budget), 2015, submitted by a group of members of the Knesset, was rejected by the Knesset. Regev was against the bill. The defeated bill proposed that the culture and arts budget, designated for the objectives specified in the bill, shall be no less than half a percent of the annual budget of the State of Israel, as set forth in the Annual Budget Law of the same year. This provision would have been applied gradually, such that each year, an additional sum would have been augmented to the base of the culture budget for the same year.